Crystal Lynn Parker (Payne) was born in Springfield Missouri on October 1st, 1973. She was the youngest of Constance and Lyle Payne. She was raised on the family farm just outside of Humansville Missouri, graduating from Humansville High School in 1991. In 1990, Crystal and Alford Rummel were married and in 1991, they welcomed Crystal’s oldest child, Samantha. In 1995, she welcomed her second daughter Katie. In 2001, Crystal and Jamie “Harvey” Parker were married. They were blessed with three children, Benjamin, Zabrina, and Ashton. Through her life Crystal worked a variety of professions and lived primarily in Humansville, Missouri and Eureka, South Dakota. Her favorite job by far was being a Mom. Her favorite hobbies included crafting and fishing. Daddy would get so mad when they came home and Crystal would catch more fish than he did. Crystal loved to laugh, joke, and talk to her friends and customers. Her favorite topic of conversation was her family. She was a selfless person, who would go without to ensure her family had what they needed. More than once she would welcome one of her children’s friends into her home when things were tough at their own home. Her whole goal in her life was to provide for her family. The only thing she ever wanted in return was love. 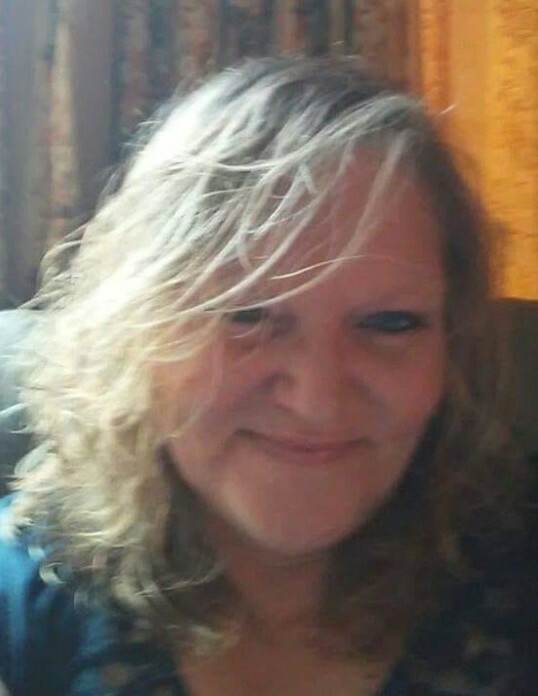 Crystal is survived by her parents, Lyle “Dale” and Constance “Connie” (Lindgren) Payne; her children, Samantha Rummel (Tim Anderson), Katie (Johnathan) Maupin, Benjamin, Ashton, and Zabrina Parker; her siblings, Theresa (Kevin Rogers) Payne, Larry (Geanette Pratt) Payne, and Russel (Karen) Payne; her grandchildren, Nevaeh and Raven Maupin, and Curtis Anderson; special friend, Damon Namken; and many nieces and nephews. A Memorial Service will be held on Friday, March 29, 2019, at 6:00 PM at United Methodist Church, Eureka, SD. Go to Crystal's Tribute Wall to sign the guestbook and share memories with her family.